It seems like winter is finally over. 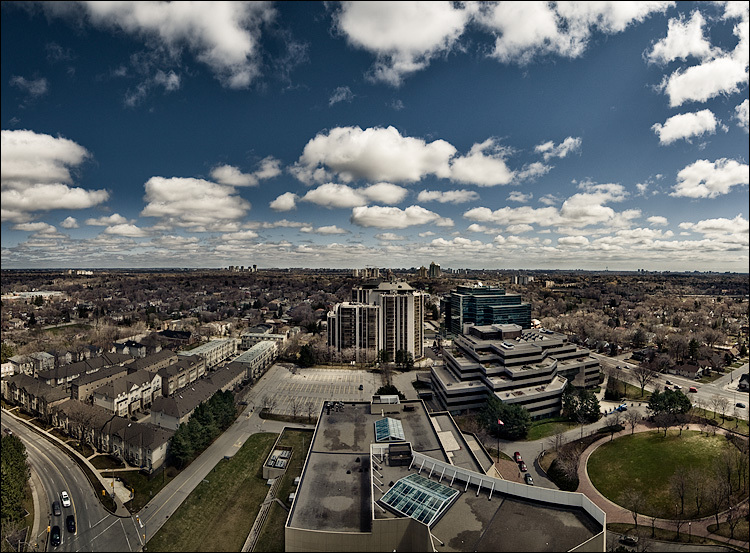 3 tall photos stitched together, shot at Sheppard and Yonge looking east. Update: Details are much better in the bigger version on flickr. Also good for desktop wallpaper.